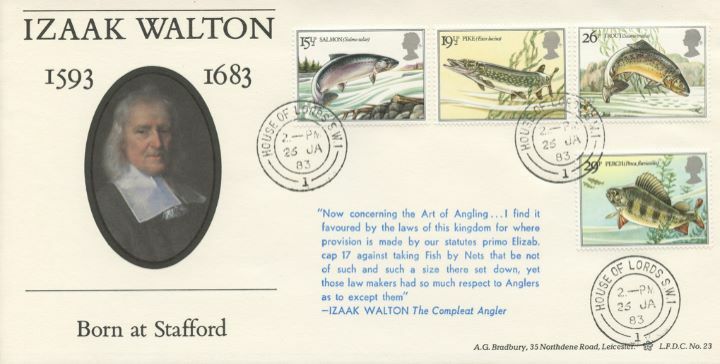 Notes: Very rare postmark and cachet .... ' Now conerning the Art of Angling...I find it favoured by the laws of this kingdom for where provision is made by our statutes.............' on this Izaak Walton cover. 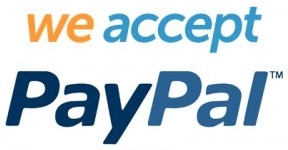 Immaculate condition and superb clear postmarks. The above Royal Mail Freshwater Fish stamps were issued on 26 January 1983 by Royal Mail and feature the following stamp designs: 15 1/2p Salmon; 19 1/2p Pike; 26p Trout; 29p Perch. The Izaak Walton first day cover with the House of Lords CDS Postmark postmark has been produced by Bradbury and features these stamps which can make a very collectible and lovely gift.